As a skincare consumer, it pays to be a skeptic. We are all on the same quest for flawless, clear, and youthful skin—and skincare companies know this, so sometimes they like to embellish their promises a little bit in order to make a buck. Look at the label on any serum, moisturizer, or eye cream, and you're sure to find claims that they reduce wrinkles or acne with research to back it up. But do they? According to dermatologists, your over-the-counter skincare products aren't always trustworthy. "Unfortunately, marketing can fool a lot of consumers into thinking they are buying a miracle in a bottle," says dermatologist Nancy Samolitis, MD, of Facile Dermatology and Boutique. Fortunately, we have prescription skincare products for when our skin needs a foolproof fix. But are prescription products always more effective than the store-bought stuff? To find out, we got a group of top dermatologists to reveal the truth about prescription versus OTC skincare. Keep scrolling to learn the facts. What makes prescription products different? Let's start with the basics: Technically, how are prescription products defined? And what goes into them that OTC products are missing? First off, prescription products are considered "drugs," because they are designed to treat medical conditions, like acne, dark spots, and sun damage. Over-the-counter drugs do exist, but prescription ones can only be prescribed by a medical professional and can only be dispensed by a pharmacy. "For example, we have tretinoin, hydroquinone, and Latisse in our office, but a person must be seen first by myself or my assistant in order to get these treatments," explains Samolitis. Prescription products have to pass through a lot of red tape before they become available to the public. "When a drug is approved by the FDA, it must pass several phases of clinical trials determining safety first and then, efficacy," Samolitis says. This amount of research is part of what determines the often high price of prescription goods. "These trials usually take several years and include a large population of patients, so there can be a considerable cost and time investment to the Pharmaceutical company, which is why these medications can be quite pricey when they are new," Samolitis explains. By contrast, OTC products have fewer hoops to jump through. "OTC ingredients are are cleared by the FDA as long as they contain certain standards of 'acceptable' ingredients, dosages, instructions for use, and labeling," Samolitis says. Where it gets iffy is that the "studies" done for these products are often "small and subjective and the results can be 'faked' to make the product results seem more dramatic," Samolitis says. The ingredients in prescription products are often stronger than the over-the-counter stuff. Plus, if you're using a prescription product, that means a trained medical professional has diagnosed your problem and recommended the proper treatment, so you have a pretty good chance of seeing results. "We know what to expect when prescribing a certain medication—the ingredients are tested and true, and there are clinical studies done on real people to demonstrate the effect," says Jessie Cheung, MD, dermatologist and director of Jessie Cheung MD Dermatology. "With OTC products, we have no idea if the ingredients actually work on real people. The manufacturers can't make a claim on any efficacy beyond changing the 'appearance' of the skin, which any moisturizer can do by simply adding hydration." What's more is that over time, "some drugs that have been proven to be safe and effective will go from prescription-only to over-the-counter," adds dermatologist Dendy Engelman, MD. Are prescription products more effective? "Yes and no," Engelman says. It's true that higher dosages of ingredients (in this case prescription products) can take effect quicker. And there are certain ingredients that dermatologists agree are much more effective in higher doses. These include tretinoin (or Retin-A) and hydroquinone. But just because a product is stronger doesn't mean it's right for your condition. "Thus, as a physician, for OTC cosmeceuticals, I try them on myself, my staff, and then interested patients and look to see if they seem to work based on physical exam and user feedback," says dermatologist Cynthia Bailey, MD. Sometimes the OTC stuff works just as well (or better). This is especially common in the case of benzoyl peroxide, an OTC ingredient that is often more effective for acne than prescription antibiotics, which acne-causing bacteria are resistant to. (Try Clinique Acne Solutions Emergency Gel-Lotion, $18, or Clean and Clear Continuous Control Acne Cleanser, $5). 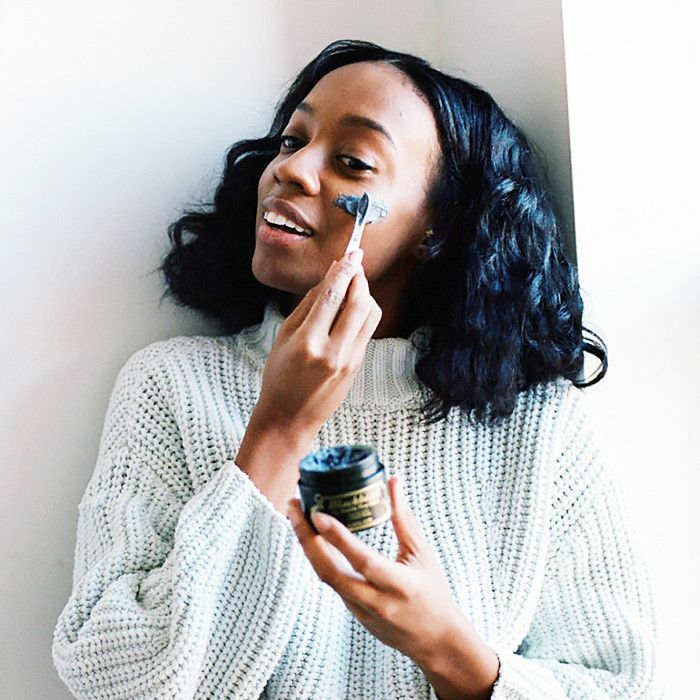 Dermatologists also agree that OTC chemical exfoliants are very effective for brightening skin, fighting fine lines, and preventing breakouts. We recommend Renée Rouleau AHA Smoothing Serum 10% ($42) and Pixi Glow Tonic ($15). Next up, read why one Hollywood dermatologist doesn't believe in OTC skincare at all.